With me as a returning member returns Hintock. This is my first post about it. 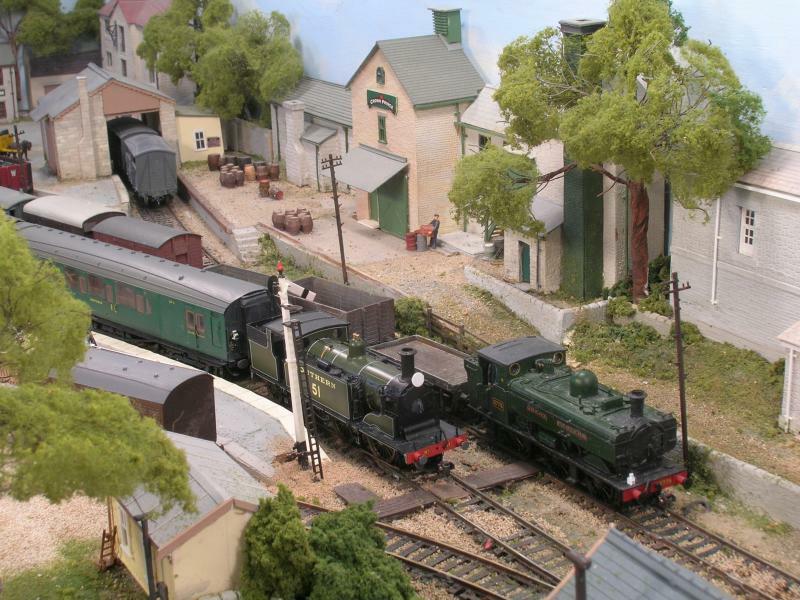 The Hintock Branch a Joint GWR/SR Joint line serves the town of Hintock Redux. known locally as Hintock by way of Hintock Junction on another Joint line between Weymouth and Yeovil. The period is the 1930's, the time a beautiful English summer's day. All is tranquil at Hintock and in the Vale of Hintock, Dorset. Hintock Redux is the principal market town in the Vale, that is bounded to the north by the Dorset Downs, to the south the English Channel, east is Dorchester and the west Devon. (A map showing this will follow in due course.) Through the Vale runs runs the River Brede on its way to the sea. It is an area of pleasant rolling country interspersed with fine stands of timber. Long settled and having an equable climate, the soil is suited for crops of every description and particularly the early varieties. More information and images to follow. And it's nice being back on YMR. It's always been one of my all time favourite layouts John so it's great to hear from you again. Like Toto, I'm eagerly waiting to see more ! From the two pics above, I can just tell it's beautifully scenicked. Please keep the pics coming. Looking forward to following this one John. 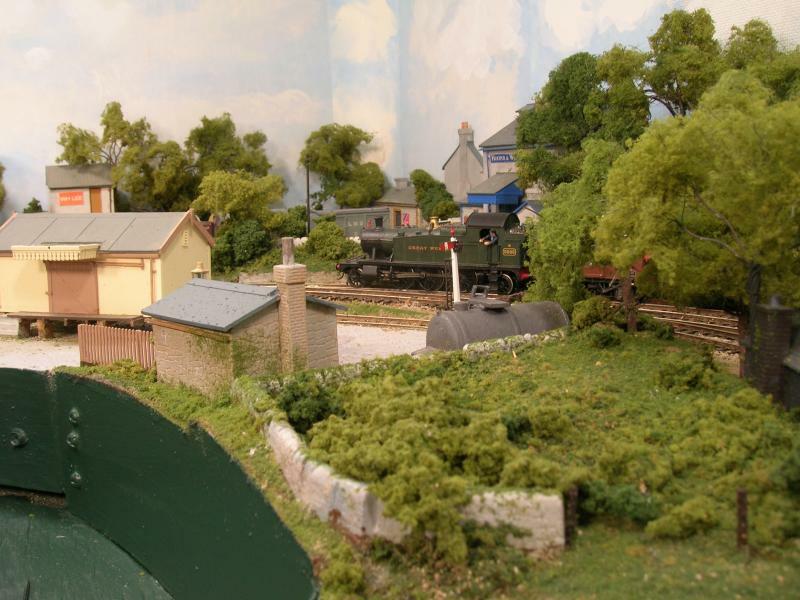 An impressive couple of photo's of the layout John, looking forward to seeing more! Thanks gentlemen; with that warm welcome I thought I'd respond with this. I'll make further posts with a little more history and a track plan. Welcome back John and Hintock looks incredibly detailed.Looking at the photos i take it you've sorted out the uploading problem. Yes Alan, thank you. And I have more like this. 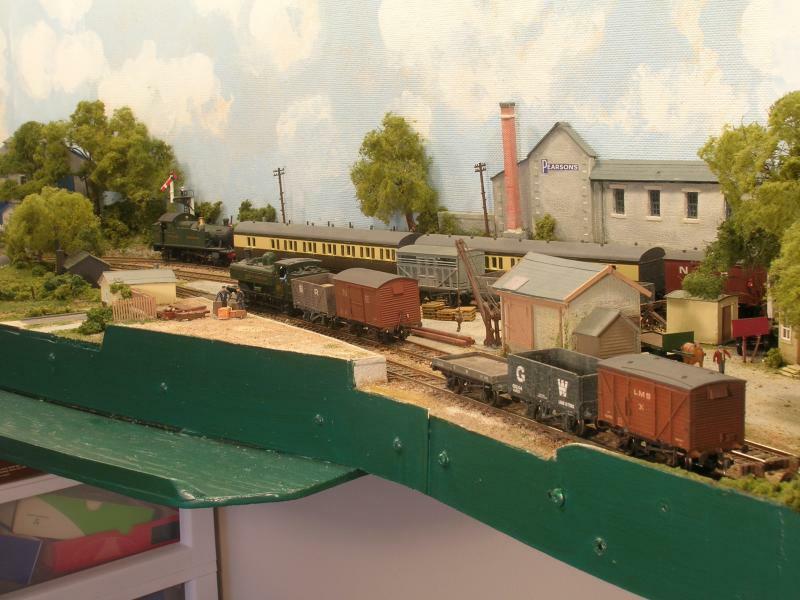 But I need first to tell the story of the why, where and when and how I came to build the Hintock Branch. To avoid a long post I will tell it in several parts. The earlier one might perhaps serve as an introduction. 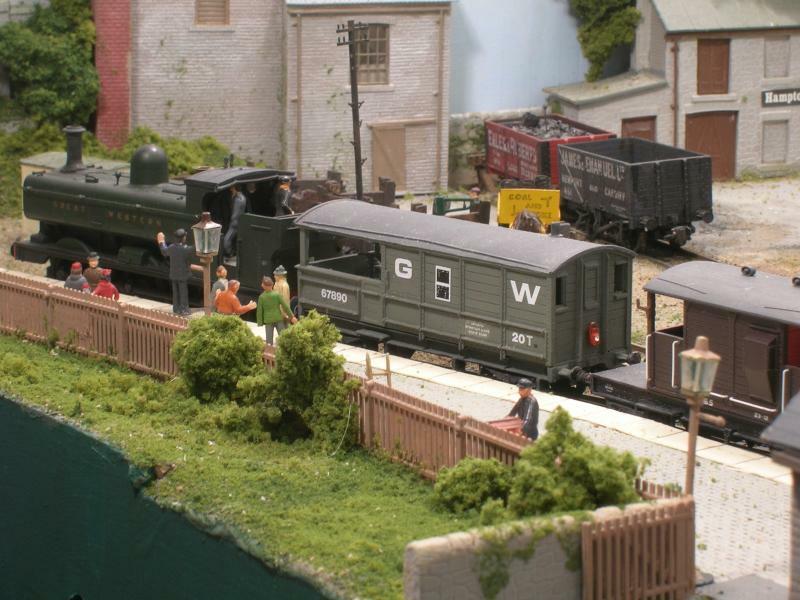 My interest lies in the running of trains representing everyday workings and combining my other interests, on a Joint GWR/SR branch in Dorset and in the S&DR. This concept of realistic working I was introduced to by the late Reverend Peter Denny and his series of articles in RM. 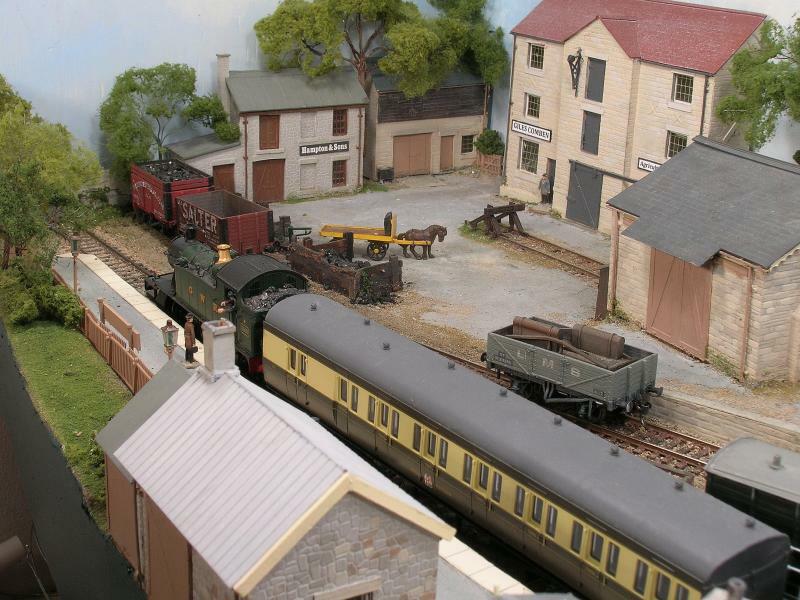 There he created a credible setting in the town of Buckingham and it naturally followed what would be the nature of the Branch that served it, passenger and goods service, from and where to. Geography, history and period too needed to be considered. Knowledge and imagination also plays a part. 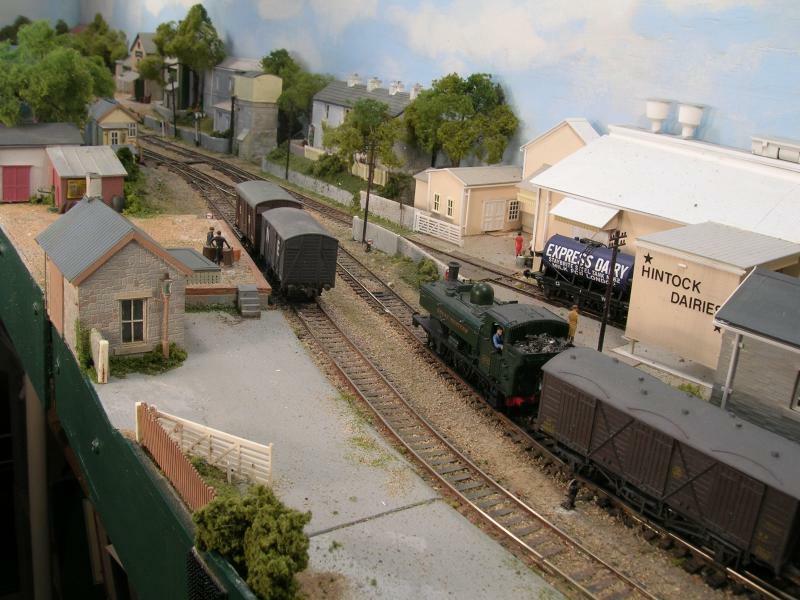 So following his approach I created the town of Hintock Redux, Dorset. Appreciate the welcome Ste, and happy to be back. it also gives me the opportunity to present Hintock in its latest form. Yes, I'm happy to say I'm fortunately keeping well as I hope you are too. 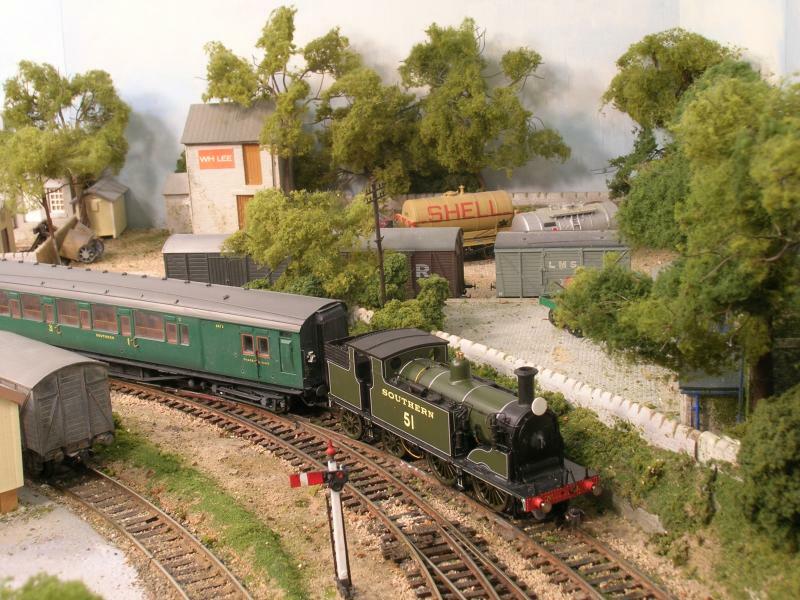 I'm also fortunate in reaching my 85th year and to mark the occasion of my birthday last month a brake van special was run from Hintock to Port Bredy. The special has just arrived and travelers await to board. 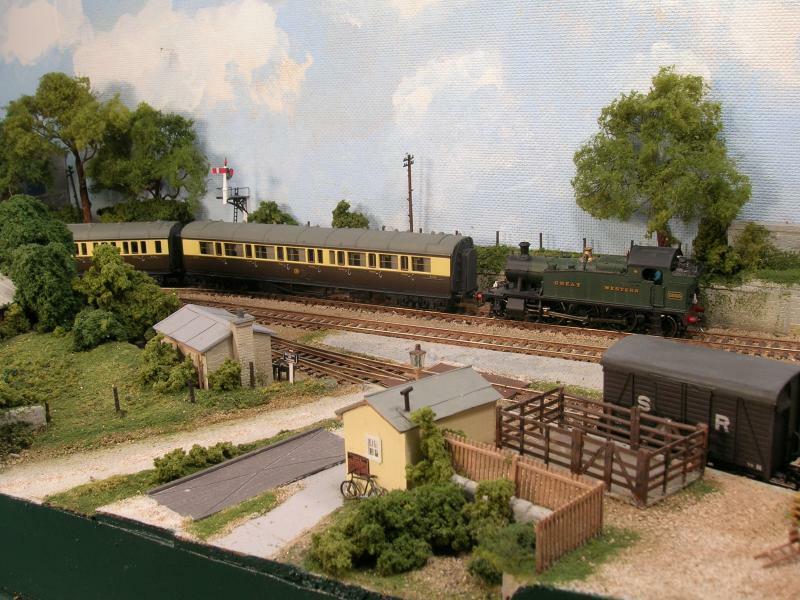 More great pics of this wonderful looking layout. I like the use of the low relief buildings you have used, very, very nice. 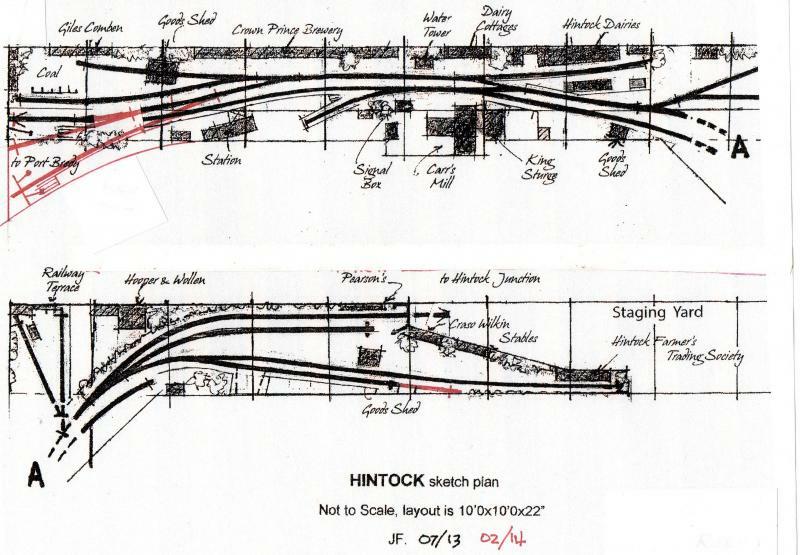 One other thing, could you please post up a track plan of Hintock ?? Gary, track plan as requested. I'll get back to the narrative next. These three shots will add flesh to the track plan. I shall deal with the evolution, construction etc of Hintock in subsequent posts. The LH end before alteration/improvement. 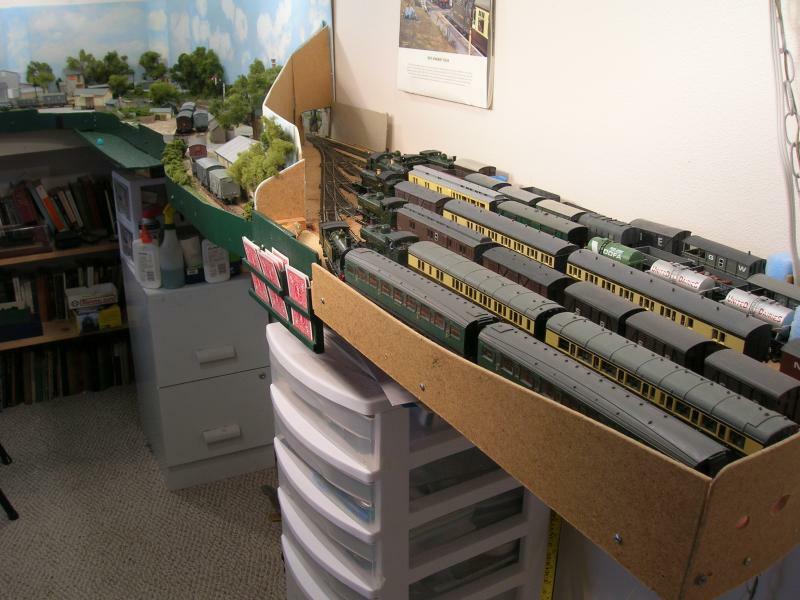 The layout has been several years in the making and these show it in about the middle of that time. 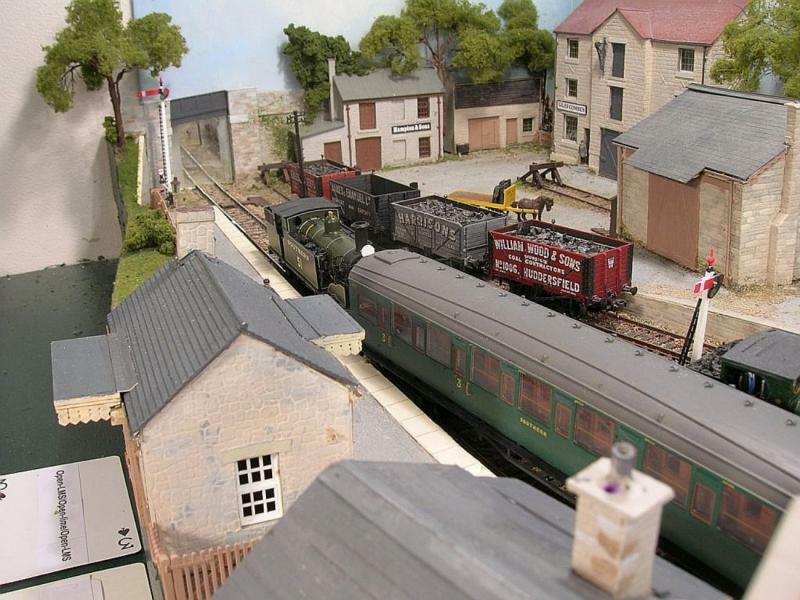 Thankyou for posting the track plan and more pics of the layout. 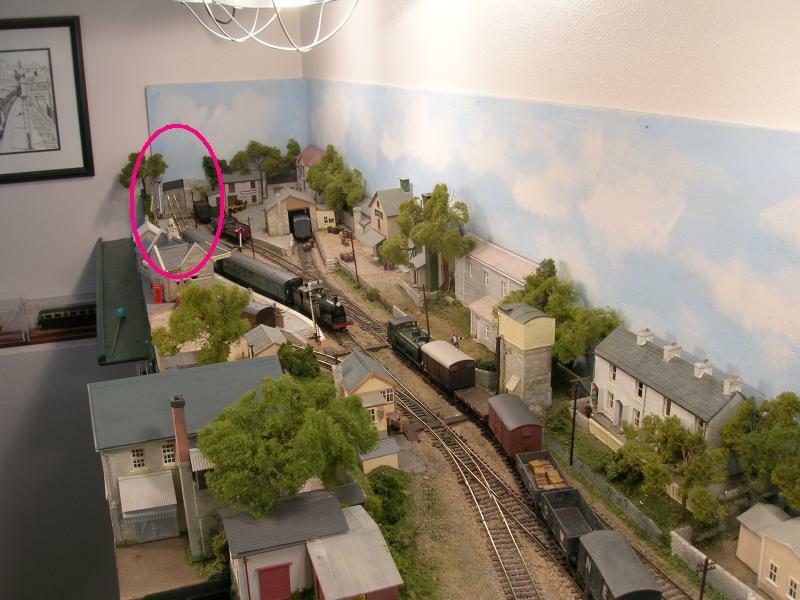 In this pic below, do I detect that the layout goes through the wall ?? The dairy is something that I would like to model at some stage, perhaps on another plank. Did you build it from plans or just photographs ? Interesting observation by Gary. I too would like to know if you have an extension in the next room, or is it a mirror to give the illusion that the track continues past the bridge?? Gary and Gormo, I much appreciate your interest in Hintock and value your questions as my intent is never to preach and prefer answering questions. So ask away and I shall be happy to answer. You are quite right the LH end abuts an external wall and there the layout terminated but in course of the layout's development I extended the branch to Port Bredy (all this will become clear in subsequent posts) because as much as anything it would vastly improve the rather uninspiring end of the line. This I did by way of the bridge and mirror that you noticed. As you can see this does not have a lot to commend it. Whilst this is better but what troubled me was the gap between coach and platform. And I thought I could improve matters. Unfortunately the file I was trying to load proved too large, so I will have to re-size it. 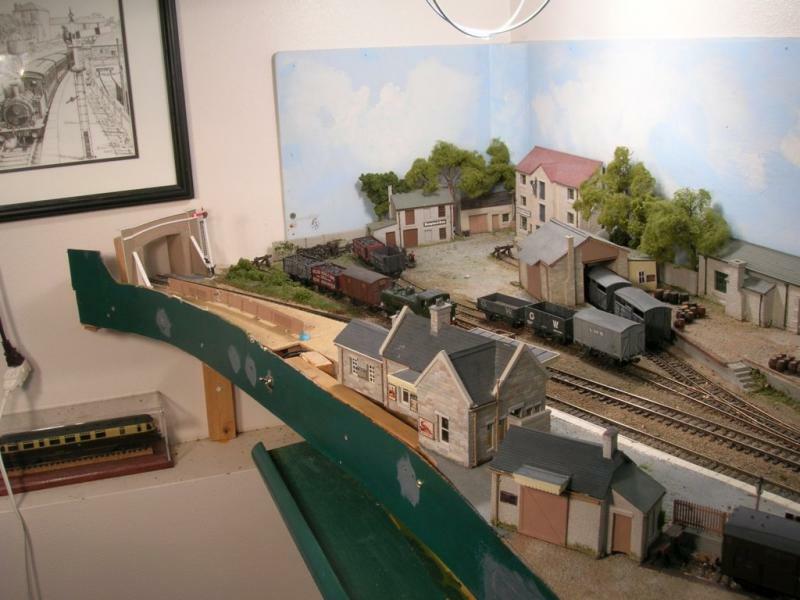 Meantime here is a working shot showing the improvement works at an early stage. I'll post the image I want to illustrate the finished works on perhaps my next post. 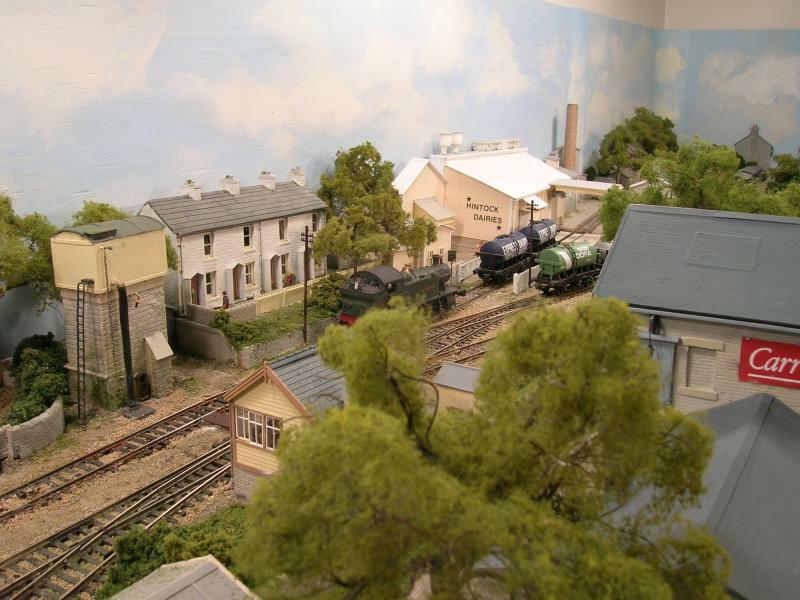 You also asked about Hintock Dairies, they provide traffic for two rains a day, the building is scratch built and follows no particular prototype though I did get some ideas from the Dairy at Hemyock. There probably are more questions, please free to ask. It's nice to see you back from The Dark Side. I'm sure the lads here will be enthralled with Hintock. Very kind of you. Yes, I'm happy to be back. Hintock continues to keep me amused, and I'm pleased to be able to share it with many of you in OZ- the other side of the Pacific.